Looking for the BEST PHOTO BOOK DEALS? Also, don't forget to fan me on Facebook so you don't miss out on the latest coupon codes! 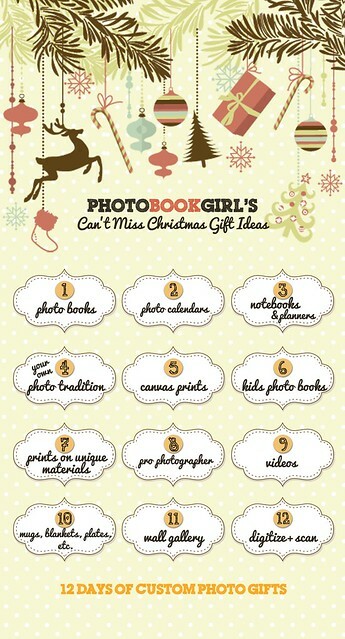 This series actually began as the ultimate Christmas gift guide, inspired by the classic Twelve Days of Christmas song, but custom photo gifts are a great idea for any occasion - especially Mother's Day, Father's Day, Valentine's Day, birthdays and anniversaries. Finding that perfect gift can be difficult for that special someone who has everything, but I've scoured the internet for my favorite personalized items and want to share them with you. These types of gifts are certainly unique and one-of-a-kind, and can fit into any budget. Don't miss out on the fun! Sign up for my newsletter (enter your email at the light blue box at lower right), "like" my page on Facebook, or subscribe via RSS. 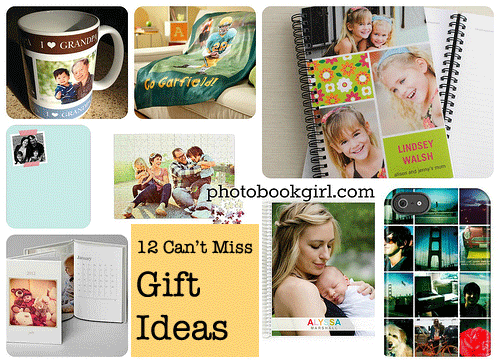 Be sure to check out the photo book and other photo gift coupons and deals (including Groupons!) updated daily.